The ending time of the summer and starting time of the monsoon fills new energy in the people who were suffering from the burning sun. It looks like there is some kind of celebration in Mumbai especially for those young teenagers who were outstaying in the burning sun. Same like those young teens, others also have the same craze for getting wet in the rainy season. So for the monsoon, people take the help of cab services in Mumbai to visit the gorge places. It offers the opportunity where you will not have to face any problem. In Mumbai, there are numerous beautiful destinations which are offering the best location and views, and full proof entertainer. Either you are coming by the airways, roadways or railways; you will fully enjoy here. While you are arriving at these destinations, you can take the help of cab services in Mumbai for local and outstation views. In all over Mumbai, you can take the help of car hire services and online taxi booking at any time. And due to these travelling sources, it makes the destinations tour more effortless and pleasing during monsoon travel in Mumbai. There are some top monsoon destinations that will provide you full entertainment. Igatpuri has always been among my favourite monsoon getaways from Mumbai. 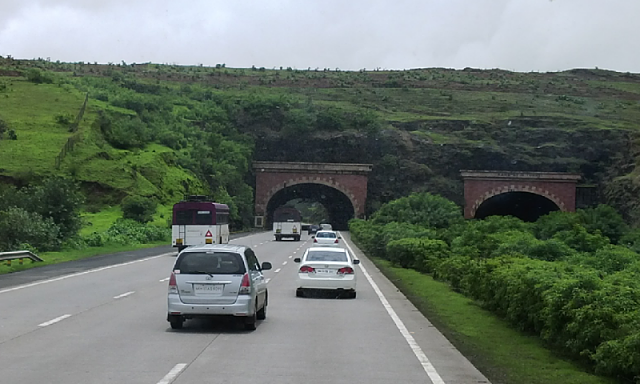 Outstanding mountain views, charming waterfalls, lush green view, serene environs – these are some of the things you will come across on your drive to Igatpuri. The rain drops falling on your car window will only make your long drive more exciting. Vipassana International Academy, or Dhammagiri, is the most popular attraction here. The backdrop of the Sahyadri range covered in mist adds a mystical charm to the Vipassana center. A tour of the center with one of the volunteers there promises to be an awarding experience for nature lovers and hikers. Let the symphony of raindrops whisper in your ears as you move towards the most beautiful mountain pass in the Western Ghats. Welcome to Malshej Ghat – a trekker’s paradise, nature lover’s delight, and a haven for solace seekers. Waterfalls, dense groves, lakes and the historic Shivneri Fort make Malshej Ghat a famous picnic spot among people of all ages. The orange and red migratory flamingos are the star attraction of Malshej Ghat during the heavy rainy season. The monsoon magic of Mahabaleshwar is hard to resist. This beautiful hill station is renowned for its beauty, flora and fauna. Watching Lingamala Waterfall appear and disappear because of the mist is the pleasing part of visiting Mahabaleshwar during monsoon. The crisp refreshing mountain air is also best experienced in these monsoon months when the hills turn a deep shade of green and brighten up the environment. Trek up to Wilson Point to enjoy a mesmerizing view of the sunrise also don’t be surprised if you spot a rainbow somewhere in the distance! There are many hotels in Mahabaleshwar which offer several outdoor and indoor activities. The fun doesn’t end here. If you have time on your way back, stop by at the twin hill station of Panchgani. No doubt Mahabaleshwar makes for one of the best monsoon getaways from Mumbai. Attractions: Scenic beauty, Lingmala/Vajrai/Chinaman’s Waterfalls, boating, viewpoints, lakes, strawberries. Tucked away into the Sahyadri mountain range, between Mumbai and Pune, Lonavala is a hill station which offers you a combination of temples, Buddhist caves, landscapes and waterfalls. You may also see the forts of Tungi, Lohagad and Visapur and have a look at Shivaji’s famous fort Rajmachi. The weather promises to be wonderful in this spectacularly beautiful hill station. You can also include Khandala hill station in your trip, which is just 5 km from Lonavala, for enjoying outdoor activities.